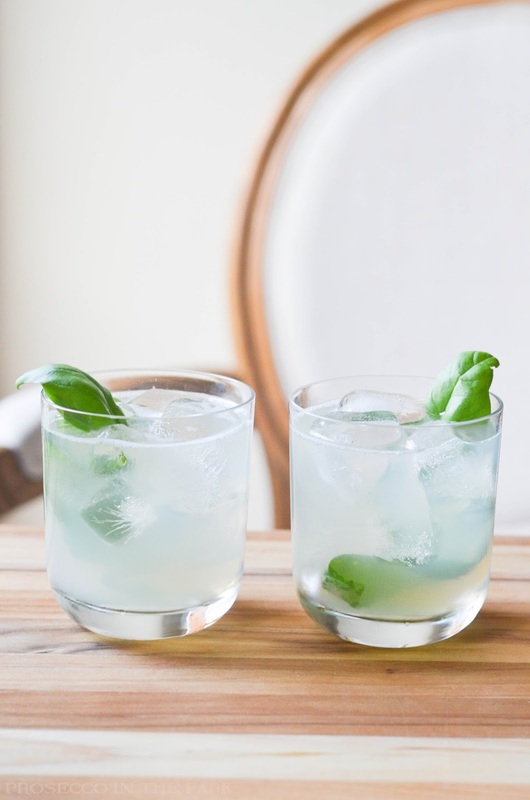 Today I am teaming up with Kaitlin of Gluten Free in NYC to bring you a cocktail that is essentially summer in a glass. I know I throw that term around a lot, what with all the fizzy fruit filled cocktails I make but I always mean it, they're all wonderfully refreshing. That and everyone's favorite summer flavors are different. Mine are apparently all of them. Earlier this week Kaitlin came over to catch up and mix a few drinks. We ultimately settled on the basil gin sour. Being gluten free limits your drink choices, whiskey and most vodkas are off the table depending upon the severity of your sensitivity. There are rumors out there that the gluten would technically be eliminated in the distilling process, but it really depends on the individual. Gin is said to be safe, which makes me laugh to say as the bathtub variety blinded a lot of people during prohibition. I had seen a shot of a similar drink on instagram a while back that stuck with me. Though it looked like a dream, I wasn't crazy about the recipe attached to it. It called for lemonade, which I did not have on hand, and seemed to stray a little too far from a traditional sour for my taste. 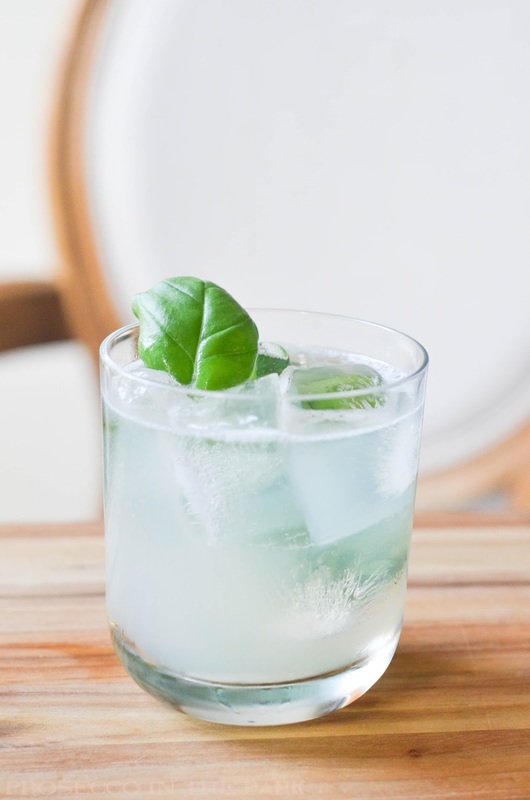 So, I looked up recipes for gin sours, took the most basic version and put that basil I have growing on my windowsill to good use. If you are worried about the gin or just not a fan, a simple 100% gluten free swap would be a corn based vodka like Tito's. 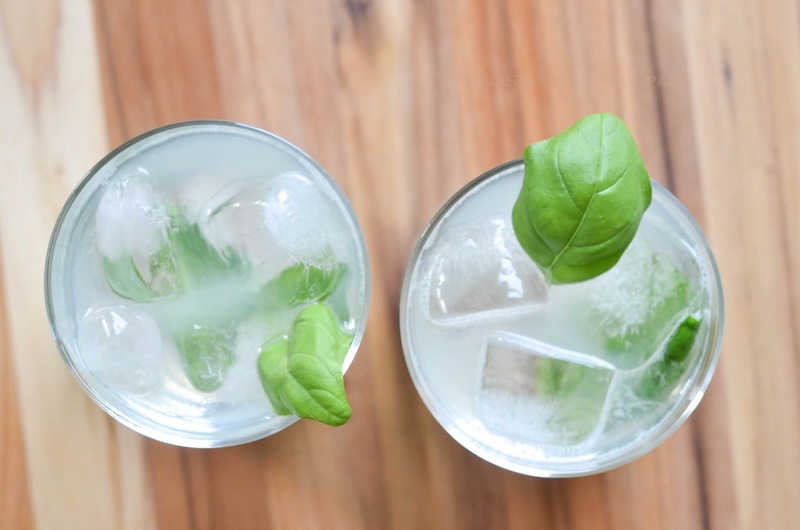 We considered making a basil infused simple syrup but opted to let the leaves mix in instead. Basil is one of those herbs (like mint) that gives off a good amount of flavor even if you just crush it a bit. On first sip you can taste it. It's there, there's no denying it. Now without further ado, on to the recipe. 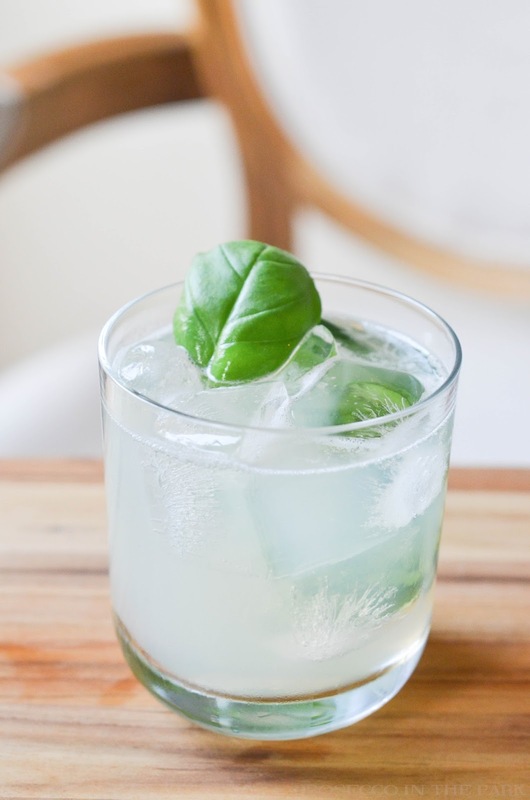 In a shaker combine gin, lemon juice, simple syrup, and basil leaves. Shake with ice to bruise the basil. 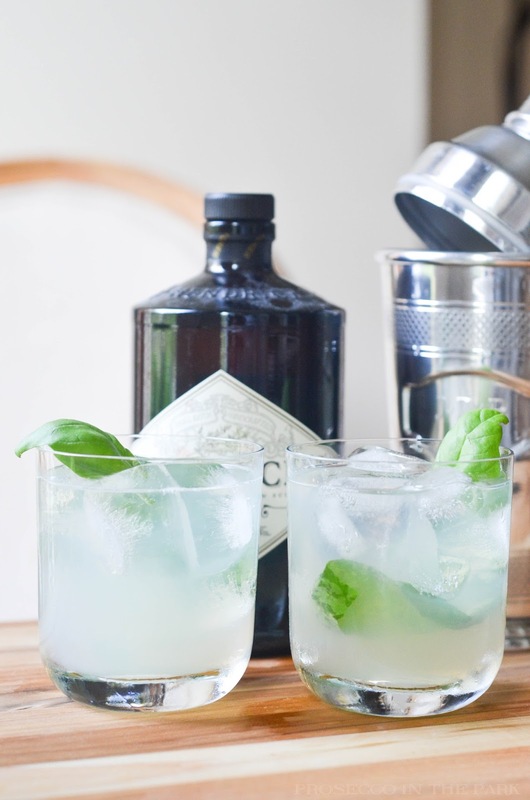 Pour over ice, garnish with basil if so desired, serve, and enjoy! Umm this is perfect considering it's National Gin Day tomorrow! :) I might be stealing your recipe for one of my video shoots today, this sounds amazing! Happy Friday girl! I'm allergic to wheat so I have a gluten free diet. Gin is a go-to favorite of mine as a result. I'm going to have to save this recipe for after I have our baby ;-) Sounds delicious. Whoa. If you only knew how much I LOVE basil. This drink looks absolutely delicious. This looks positively refreshing and delicious!! I LOVE anything with basil. I am definitely going to attempt this! And your photos are gorgeous!! Hope you have a great day weekend...stay cool! This looks so refreshing and classic! I am not a gin drinker but I definitely will try this with vodka! Cheers to the weekend!